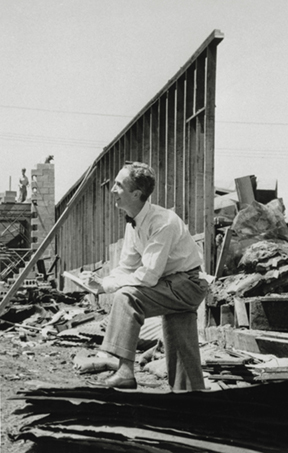 In the summer of 1951, Kansas City suffered a devastating flood of the Missouri River that engulfed many commercial buildings, including three major Hallmark warehouses. 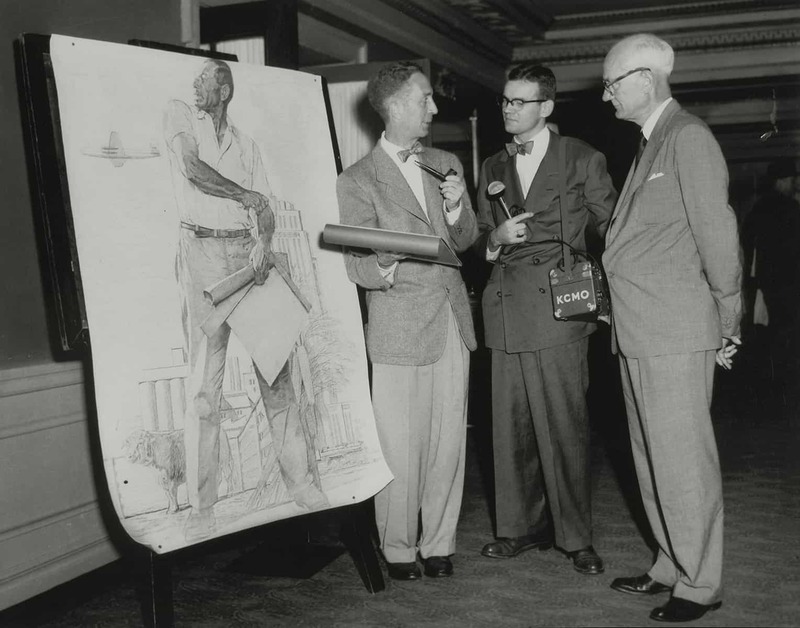 At Norman Rockwell’s generous offer to help, J.C. Hall commissioned him to paint a picture that would inspire the people of the city in the monumental task of rebuilding. 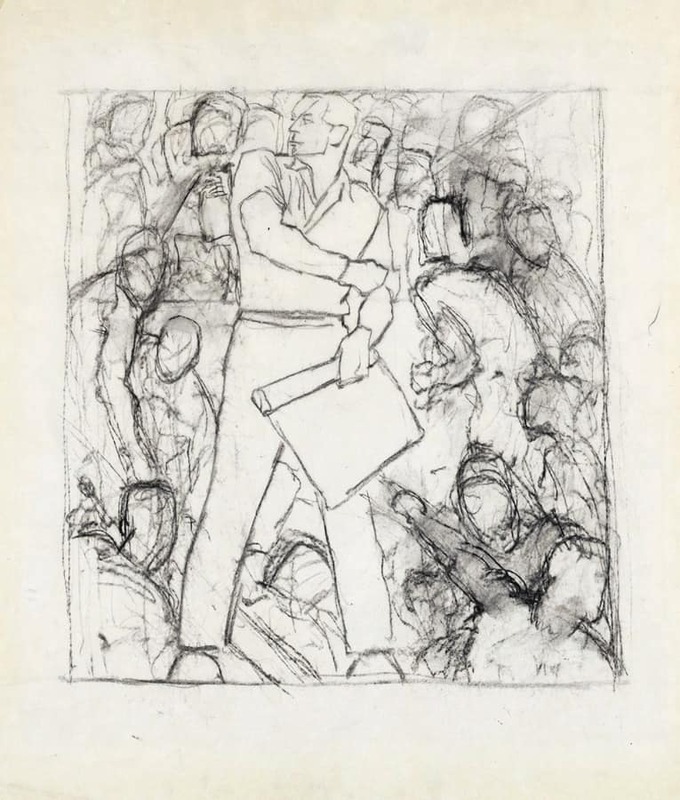 Rockwell visited the flood site to meet local citizens and make preliminary sketches. 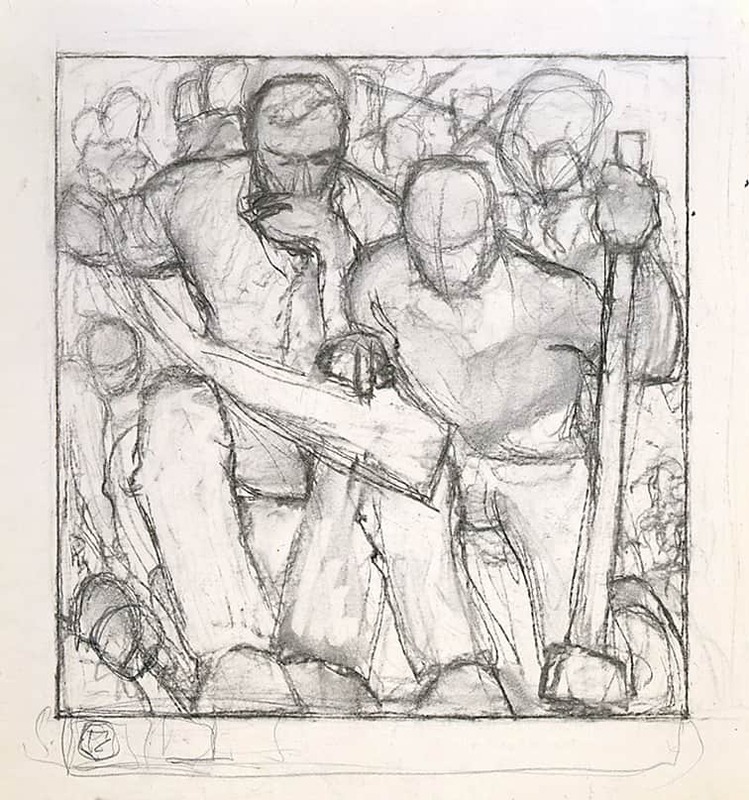 Back at his studio in West Arlington, Vermont, he set to work on an image that would symbolize the city’s indomitable spirit. After attempting complex multiple compositions, he settled on the heroic image of a lone worker rolling up his sleeves. 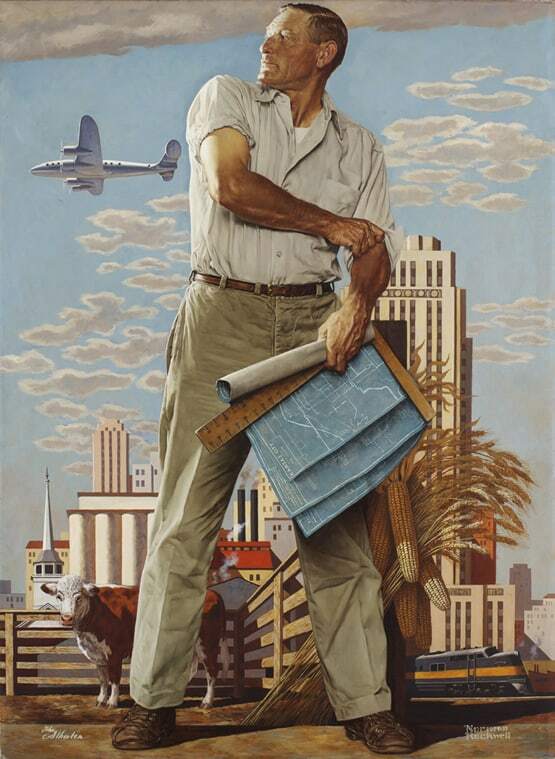 He stands against a background of the city’s architecture and industry painted by Rockwell’s friend, and fellow Saturday Evening Post artist, John Atherton. The resulting painting, The Kansas City Spirit, is a moving representation of the determination of all Kansas Citians who worked together to overcome the debilitating effects of a natural disaster of great magnitude. Hallmark distributed color posters of the picture to the public with an inspirational story of the city’s recovery penned by J.C. Hall. 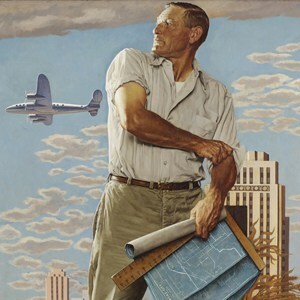 The painting has been reproduced often in the decades since, remaining a powerful image of the city’s strength and optimism. 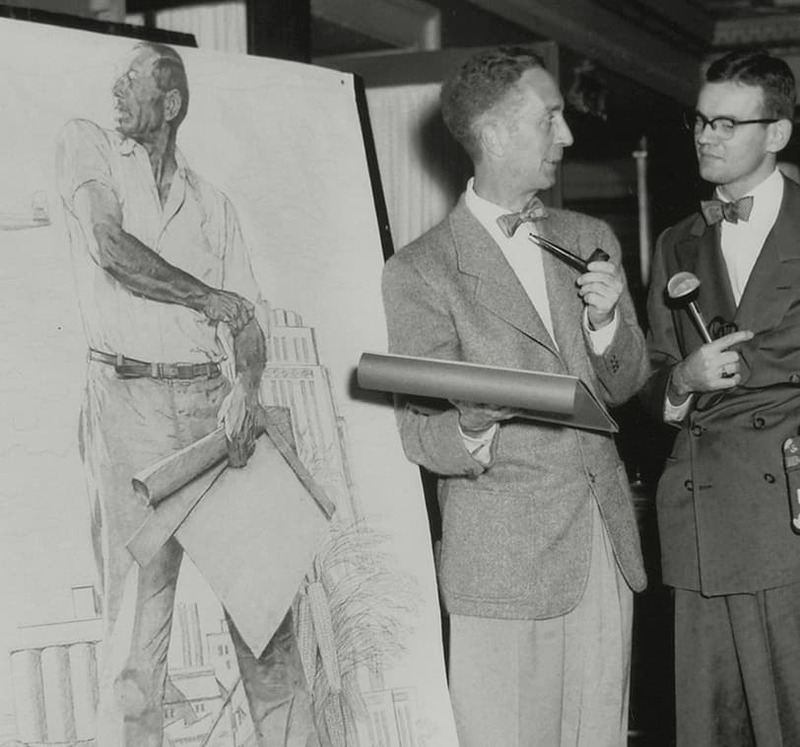 Norman Rockwell and J.C. Hall interviewed for radio by reporter Randall Jessee at the unveiling of Rockwell’s design for The Kansas City Spirit, 1951. Photograph by Wilborn & Associates.